Washing our face is a regular and integral part of our skin care routine. Some wash their face right after waking up, some wash it during a bath, others wash it when they come back home while some also prefer to wash their face before sleeping. Now although it is such a common activity, you might find it surprising that most women don’t wash their face correctly. Are you one of them? To find out, read on about some of the most common mistakes people make while washing their face. 1. 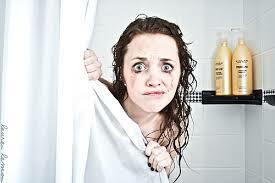 Overdoing it: Some people feel that the more they wash their face, the better it is. Quite the contrary in fact, washing your face too often strips your skin of the naturally secreted oil. This makes the skin lose moisture and its natural nourishment causing it to become dry and look flaky. Do not wash your face more than twice a day. If you do feel like it is too hot and sweaty, just splash some water on your face instead of using a face wash or cleanser. 2. Wrong exfoliation: Some people feel that they need to exfoliate a lot, others feel that they don’t need to exfoliate at all. Both these ideas are wrong. Your skin regularly needs exfoliation to remove the layers of dead skin cells and the dirt trapped in the pores. But exfoliating everyday can mean that you are damaging the skin with the harsh scrub. Use an exfoliating scrub not more than twice a week to reveal your best, glowing skin. 3. Using hot water: While hot water on your face feels great on a cold winter morning, it can actually do more harm than good. Hot water too strips the skin of its oils making it very dry. It is better to use cold water or lukewarm water if you need some warmth. But definitely keep all that hot water away from your face. 4. Washing off makeup: When you head back from a party late at night, how often have you just washed your face and gone to bed? This is a very common mistake. It is essential to remove all the makeup from your face using a makeup remover or cleanser to get rid of any product and ensure that there is no residue left on your skin. After this, wash your face using lukewarm water and a milk face wash and then pat dry. 5. Rubbing with a towel: So often, women use a towel to vigorously rub their face dry after washing it. This irritates the skin and can cause damage and make it look red. After washing your face, remember to use a towel and pat your skin dry very gently. Hold it to your face so that the towel absorbs the moisture and then pat it lightly all over to remove all traces of water.